Latest GMSP Installations & News. Design in Mental Health Exhibition ’14. Birmingham. Design in Mental Health Conference & Exhibition 2014. Last week we spent three days in the National Motorcycle Museum, Birmingham for the Design in Mental Health Conference & Exhibition 2014. We would like to thank all those that took time out from their busy schedules and visited our stand. We were delighted with the level of genuine interest shown in the Gold Medal Safety Padding product from various positions/roles within the Healthcare industry. We were happy to answers all questions regarding seclusion room safety padding and protection. Gold Medal is not an ‘adapted product’ it is specifically designed for seclusion rooms in hospitals and psychiatric facilities where violent behaviour may result in injury to the patient, staff or damage to the room. The first installation was in New York, 1973 and is still in active use today. Click seclusion room safety padding benefits for specific information on Gold Medal’s key features. 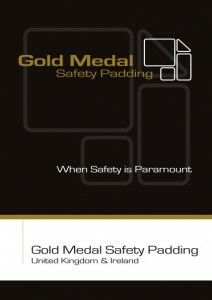 Request Gold Medal Safety Padding Folders. Design in Mental Health Conference & Exhibition 2015. There’s little doubt we will be back in 2015 and that’s due in no small part to the event organisers who were excellent throughout and highly professional in all they managed. 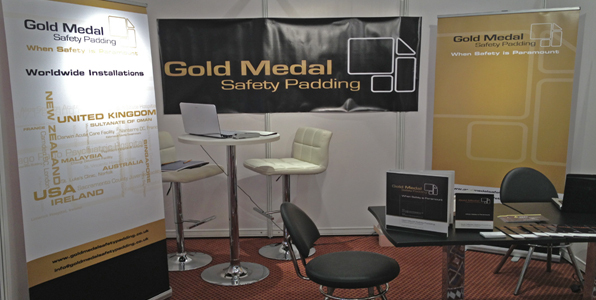 For more information, photographs and technical drawings just visit our website or email Niall Clancy; niall@goldmedalsafetypadding.co.uk. We look forward to hearing from you. Submit your details below and we'll post your samples within 2 days.